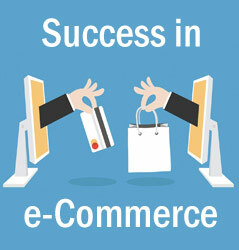 The popularity of ecommerce development services have grown rapidly during the last decade. The proposition of carrying a business online has caught up with the urban people. As a matter of fact, a lot of people have started online business services at home and have earned substantial revenue by applying the correct techniques. When it comes to online trading, you can see your business reaching a height that could have been impossible otherwise. The tendency of online shopping that has helped consumers stay hooked to the websites that have been developed for this purpose; there are a few things that you need to keep in mind as a website developer. If you own a website development agency, you have to make it user-friendly considering the growth of E-Commerce. What are the things that you need to keep in mind? Read the following points below. As the owner of a website development agency, you have to evaluate the exact requirements of the business for which the site is being developed. Development of an e-commerce website comes with a functional design that appeals to the users. Hosting and database configurations are inherent aspects of ecommerce website development services. Proper tracking system of the website. On a regular time-frame understanding of users behavior is very much important to understand. If someone is facing problem while browsing the website, adding products to the cart or while checking out. This entire problem should be resolved at the earliest if it persists. The website design must be SEO friendly and the navigation must be easy enough for loading every page. It is likely that an attractive and crisp design is more appealing for those viewing and buying from different websites. 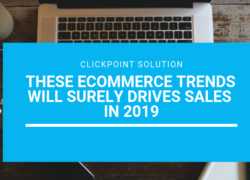 Latest features like online review, star rating, wish lists etc are the features of the latest Ecommerce Website trends. Regular website maintenance with the updates for the recent products, blog is needed for the success of any ecommerce business. Proper image optimization for each and every product images. Remember here the picture, description etc sells the products. No physical sales man available to explain about the feature of the products. While the framework of an E-Commerce website can be conjured in the mind, it is necessary to remember a few things for providing ecommerce development services. For instance, the shopping cart of an e-commerce website must be strong and stable. Moreover, the products that the website owner intends to sell must be easily accessible and visible to the onlookers.